It’s not easy to fuse a connection between the heartstrings and the hipbone, to bridge the emotional intensity of a singer-songwriter and the effortless swagger of a born rocker. But that’s exactly what California-bred, Austin-based Amy Cook has been doing for more than a decade – winning over fans with tunes that not only connect, but also attach themselves to the very heart of pleasure. On Summer Skin (Roothouse Records/Thirty Tigers), her latest album, Cook explores both sides of that personality, with the assistance of a remarkable group of musicians: Bassist Me’Shell N’Degeocello, guitarists David Garza and Chris Bruce, and Jonathan Wilson on drums, as well as guests Ben Kweller, Patty Griffin and Robert Plant (who adds instantly recognizable harmonies to the gently atmospheric “It’s Gonna Rain”). Plant, who also appears with Griffin on the moodily rumbling “Airplane Driver,” fits in quite nicely while not taking over, to Amy’s credit. From the slowly building rocker “Sun Setting Backwards” to the choppy waters that churn beneath the plangent “Break Your Fall” and the placid landscapes of “Hello Bunny” (a sweet waltz inspired by a real -life encounter with a field of the critters), Amy Cook moves with simultaneous grace and force through an album that depicts her evolution as an artist and a person. She has arrived. Part of the credit for that attitude shift is due to producer Craig Street – perhaps best known for his work on Norah Jones’s multi-platinum debut, Come Away With Me – but, Cook herself most responsible for that sea change. This time around, she found a way to unshackle her natural rock and roll spirit, recalling Chrissie Hynde one moment and early Tom Petty the next. Working in Los Angeles helped her gain the sort of visibility that landed her songs in such TV shows as Dawson’s Creek, Veronica Mars, Laguna Beach and The L Word. Restless, in 2005, she loaded up the truck and moved to Texas. In the process, she managed to reconcile those two seemingly disparate settings – the home of the sunny pop hook and the hardscrabble back roads that spawn rough hewn roots rock – and to craft a sound that’s all her own. The elements of rock, pop and folk, along with a goodly dose of ether, found their way into both The Sky Observer’s Guide and the homemade Bunkhouse Recordings — which Michael Corcoran described by saying “The big sky of stars and fireflies is made for music like this.” Appropriate, given the fact that she spent plenty of the time at the time out in the high desert of west Texas, where a thriving artistic community lies nestled in some of the state’s most beautiful territory. Legendary rocker and troubadour Alejandro Escovedo was one of the early fans Cook made in Austin, and she soon joined him on the road for the better part of a year. That mentorship resulted in 2010’s Let the Light In, the first and only record Escovedo has produced to date. 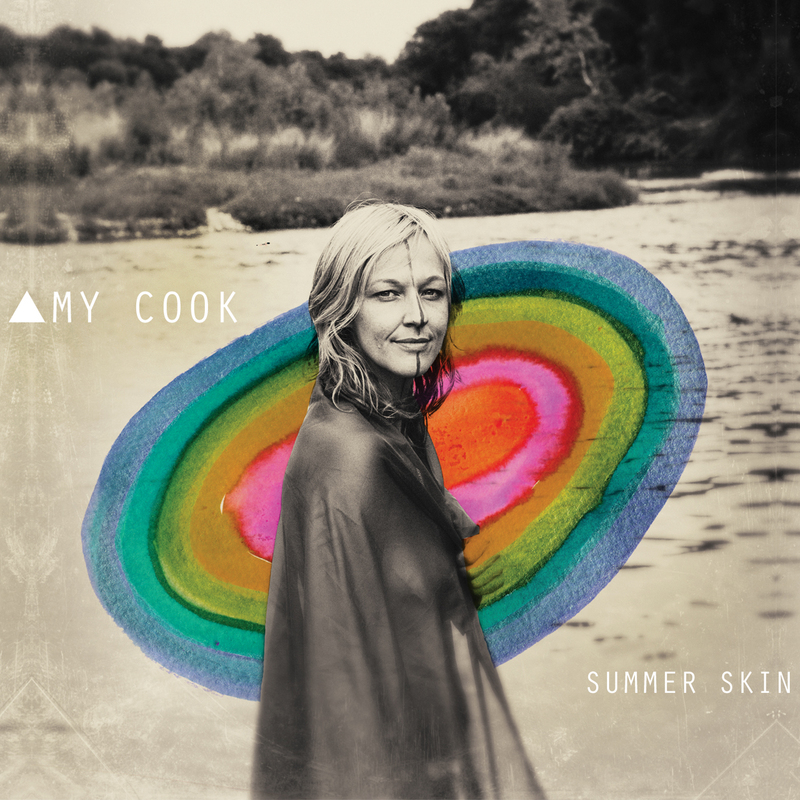 Summer Skin marks a quantum leap for Cook, who’s built a dedicated following through years of steady gigging — from coffeehouses to rock clubs, from festival stages to theatres, she finds herself equally at home.